Nostalgia is a dangerous thing. If not used correctly it can skew the memories of people, times and places of bygone eras. It can make one think and long for something that in hindsight we believe was much better than it really was. Since Baseball has been around for almost a century and a half, there are many eras that none of use were able to witness first hand. We rely on history books, the research of many and documentation to see what really happened. The Deadball era is one that many people have a fondness for and like to learn about it as much as they can. I recently found a book that allows those Deadball era lovers to get some inside stories of what the game was really like during that time, without succumbing to all that messy nostalgia. Tales From the Deadball Era allows readers to do some time traveling if you will. It takes them back to when violence, segregation and gambling were some of the nicer things happening at the baseball games. A time when fields were in disrepair, equipment was unsophisticated and quite honestly the final product was somewhat of a mess. It was nothing like the showcase we get to witness on a daily basis today. Halfon introduces us to some of the major events of the era. Showing us these highlights along with some of the great personalities ever to play the game, he gives the reader a very complete picture of what was going on during this era. He also shows some of the more lighthearted moments that infiltrated the game during that period. Many of these things you would not even dream of as being part of the game today. The book also shows how necessity is the mother of invention. Things we normally accept as part of the game had to come from somewhere, and this book shows us those things we should all be thankful for. 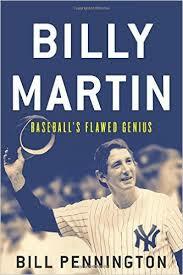 If you fancy yourself a novice baseball historian this book is a good book for you. It gives the reader a nice feel for this time period and will leave you wanting to find out more information about the Deadball era and its personalities. If you fancy yourself a novice historian on the John Thorn level then you may want to stay away from this one. If you are at that level you more than likely wont get any new information from this book. Honestly most fans will enjoy reading this book and spending the time traveling back to these decades long ago.